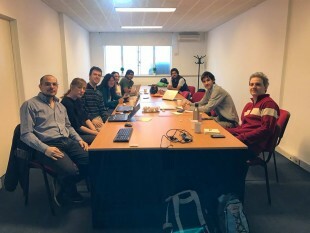 On Tuesday the 22nd of November, in a relaxed, friendly and convivial environment, Mercap’s technical leaders received their colleagues from corporate friends that, just like Mercap, develop their products using the Smalltalk language: PetroVR, IBM Argentina and Debris Publishing. Ideas, experiences and solutions relating to data parametrization, collection and presentation were exchanged during the day, as well as information about how the customer interacts with the available reports in the systems that each company develops every day. The results were very positive, since they show the collaboration between all the companies that attended and invited the development of future meetings involving different topics of common interest. Mercap thanks all those involved for their participation and will soon advise about the next meetup.